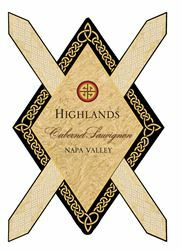 Highlands Winery is a small artisan winery producing Cabernet Sauvignon and Zindandel from hillside vineyards in the Napa Valley Appelation. Winery principals have over 70 years of viticulture and winemaking experience in Napa Valley. Their experience and dedication show in each bottle of our award winning wines. We have Bocce Ball facilities for children and adults at our tree shaded gardens/picnic grounds. Modern comfortable tasting room with knowledgable, personable staff who will spend the time to make your visit memorable. To join the wine club, visit www.highlandswinery.com or call 707-328-5008.